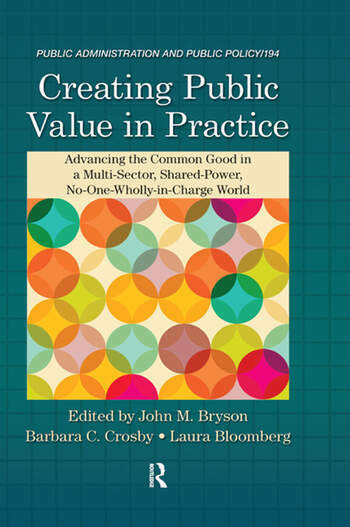 Creating Public Value in Practice: Advancing the Common Good in a Multi-Sector, Shared-Power, No-One-Wholly-in-Charge World brings together a stellar cast of thinkers to explore issues of public and cross-sector decision-making within a framework of democratic civic engagement. 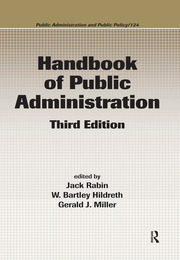 It offers an integrative approach to understanding and applying the concepts of creating public value, public values, and the public sphere. It presents a framework and language for opening a constructive conversation on what governments, businesses, nonprofits, and citizens can achieve in a democracy that honors a broad range of public values. Public officials, scholars, and citizens alike are engaged in an intense debate about the proper purpose, role, and size of government. In the midst of this debate is a growing concern that important public values are ignored by government reform efforts. This book explores the different definitions of public value and approaches to public value creation, discernment, measurement, and assessment. The text helps clarify the issues and demonstrates how the meaning of public value is intimately related to how it is theorized, operationalized, and measured. 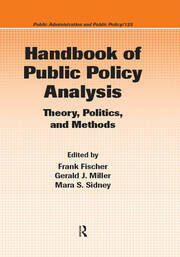 The book examines the many alternatives for recognizing, measuring, and assessing public value and addresses the pros and cons of each approach. 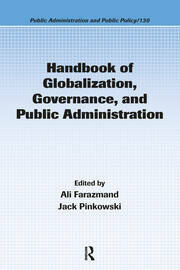 The result is a contribution to the ongoing dialogue about the virtues and limitations of a focus on the public sphere, public values, and how to create public value in the context of developing and implementing policies, programs, projects, and plans that ideally boost confidence in public institutions.